Typical installations have more levels than Widespan. The narrow face allows plenty of clearance for loading product onto shelves. 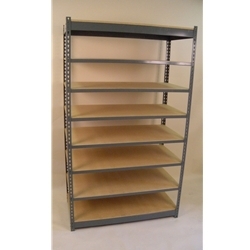 Shelf loads are generally lower when many levels are built on a unit. These units are built with widespan 2 rivet beams for top and bottom levels both on fore/aft span and left to right span. The 2 rivet beams stabilize the unit, controlling sway. Because sway braces normally required on metal shelving are not needed, there are no braces in the way. Middle levels are built with low profile single rivet beams fitted only to the left to right span. Not having single rivet beams on the fore/aft span cuts cost significantly and does not lower capacity on listed units. 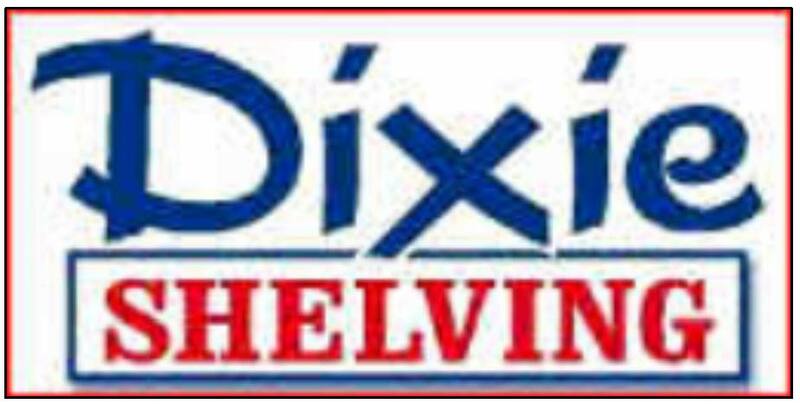 If you have a need for low cost with maximum clearance consider Dixie Low Profile Rivet Shelving.